In July, Nicholas Stoller and Francesca Delbanco released their new Netflix comedy series “Friends from College.” The show stars Keegan-Michael Key (“Key and Peele”) Cobie Smulders (“How I Met Your Mother”), Annie Parisse (“Law & Order”), Nat Faxon (“Ben and Kate”), Fred Savage (“The Wonder Years”) and Jae Suh Park (“The Big Short”) as the titular group of ageing friends. While the production is ostensibly a comedy, it follows the group of friends on a journey that features as much tragedy and heartbreak as gags and laughs. The series is as hard to judge as it is to categorize. The pilot has plentiful funny jokes and touching moments, but they are matched with slow sections and events that feel overly colorful, if not downright unrealistic. It quickly becomes obvious that Stoller and Delbanco have succeeded in toeing the line between funny and serious and between comedy and drama. One would be hard pressed to find another television show which balances the two forms more evenly. In some episodes, however, it feels as though Stoller and Delbanco are simply too strongly attached to balancing comedy with tragedy. In the second episode of the series, “Connecticut House,” Lisa (Cobie Smulders) begins working at a Wall Street firm as a corporate lawyer. The transition from her background in nonprofit law to a more soulless workplace is a deep, earthshaking crisis for her. While the comedic portrayal of the other employees as atavistic frat-boy animals keeps the series from getting too serious, the sexual jokes and childish gags detract from what could have been a more thought provoking and cathartic moment for the viewer. The series might be better off if seriousness was allowed to prevail in these moments, rather than relying on over the top “Wolf of Wall Street” style scenes to keep things balanced. Despite this flaw, the balance that Stoller and Delbanco maintain pays off big time in key moments. In the closing scene of the season finale, Sam’s (Annie Parisse) new car rolls into her pool during her extravagant fortieth birthday party. For a moment, the entire group of friends is devastated, but immediately they resume making jokes at each other’s expense. As the characters reveal disastrous secret after disastrous secret to each other, they keep each other laughing despite the serious emotional distress and deep damage of their lives. In the background, fireworks go off and the party’s caterers bring out Sam’s birthday cake. The creators crafted this scene masterfully to demonstrate the real value of old friends: they do not necessarily make one’s life better, but they allow one to laugh in the face of personal tragedies. In the final scene, the balance between tragedy and comedy, no matter how absurd it may be, works perfectly. Here, the balance serves to develop the themes of the show, whereas in other scenes, it seems to exist simply because the creators want it to. The depth with which the show explores its core themes makes it truly a joy to watch. The show’s titular focus on friends explores how they can both inadvertently ruin one’s life and make one’s life bearable at the same time. Beyond this central theme, however, the creators used both the broad plot of the show and subtle symbols and images to highlight other points. The entire season deals with infidelity and emotional frustration through the lens of several affairs within the group. Additionally, Stoller and Delbanco dealt with aging, disappointment and nostalgia throughout the first season. In a compelling scene, Sam’s husband (Greg Germann) unwittingly compares the man with whom she is having an affair to a bear roaming loose in their house, an analogy which quietly demonstrates the destructive effect friends can have. Ultimately, the show has one asset that any series needs to be truly successful: its characters are relatable. The ease of developing bonds with the characters allows the viewer to become hooked on the series quickly. 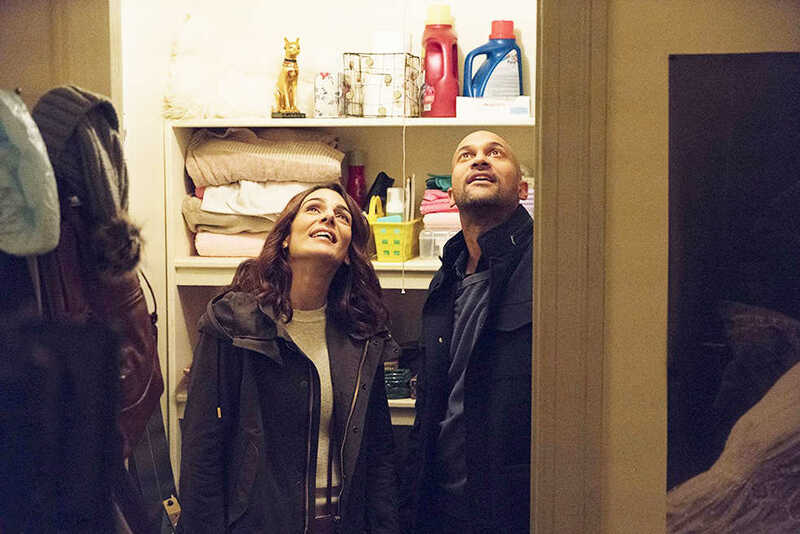 The first season of “Friends from College” is worth watching, and if Stoller and Delbanco can reign in their desire for balance, they may produce a show that is both popular and worthy of its following.